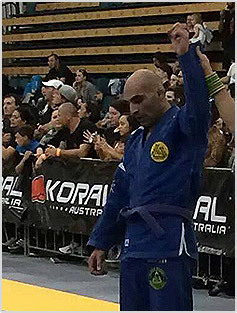 Professor Mauricio is the Head Instructor at Gracie Humaitá Bankstown and Mona Vale. He also coaches professional Rugby League team the Canterbury-Bankstown Bulldogs in grappling with Professor Marcos Nevel. Mauricio is a 2nd Degree Black Belt in Brazilian Jiu Jitsu originally from Brazil. Professor Mauricio has guided our adults and juniors program to much success and will continue to do so through his coaching and competition experience. Joel began training BJJ in 2003 and received his Brown Belt in May, 2014. 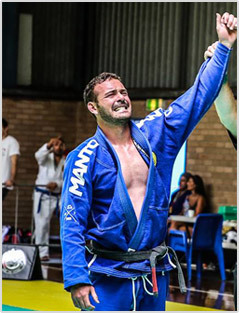 Joel is currently a Hyperfly sponsored competitor who has represented Gracie Humaitá across Australia and internationally. Sami is an active competitor who started his BJJ journey in in 2010. Sami currently instructs junior and some adult classes, whilst managing Gracie Bankstown. Wahib started Muay Thai and Kickboxing in 1998. He has over 15 years’ experience training and fighting. Wahib held multiple Australian Titles and State Title in Kickboxing with an impressive record of 25-2-1NC with 24 wins by knock-out. 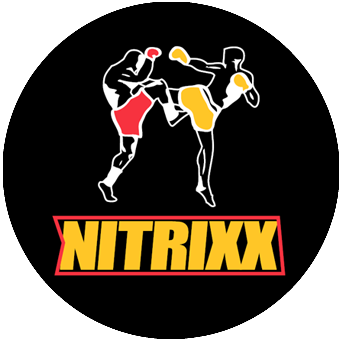 Wahib opened Nitrixx Fitness in 2009 producing many strong competitors and great training environment for all students regardless of their goals.